Search for prime and Fibonacci numbers. Is there a better alternative to Primex? Is Primex really the best app in Mathematics category? Will Primex work good on macOS 10.13.4? 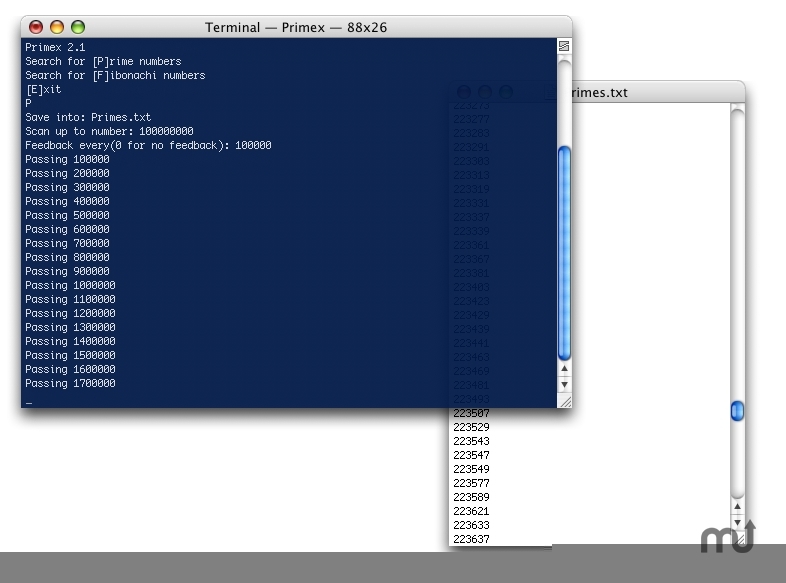 Primex is a lightweight program that gives you the ability to search for prime and Fibonacci numbers. The prime-search algorithm relies on the fact that every non-prime number, can be expressed as the product of smaller prime numbers. Primex uses a scanning algorithm, that allows it to trace every prime number it scans trough. Improved Prime search algorithm, now over 100 times faster for big numbers. Primex needs a rating. Be the first to rate this app and get the discussion started!